Mitchell Moses guided Lebanon to their first ever Rugby League World Cup victory as the Cedars recorded an impressive 29-18 win over France in Canberra. Having battled back twice, Lebanon finally put France to bed on 74 minutes when Parramatta half-back Moses notched a drop goal to put the Lebanese ahead again before scoring a solo try three minutes later to confirm a historic win. Lebanon, without forward Chris Saab who was ruled out with concussion, took an early lead on eight minutes with full-back Anthony Layoun gliding over and were never behind over the course of the game. 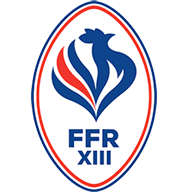 France remained in the contest throughout with Toulouse winger Bastien Ader bagging a brace before Damien Cardace touched down on 68 minutes, William Barthau converting all three. 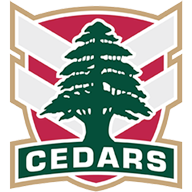 The Cedars finished stronger though with Travis Robinson scoring his second try of the game at the death to cap off a memorable occasion for Lebanon. France must now record a victory over Australia on Friday or England in Perth on November 12 to clinch a place in the quarter-finals.